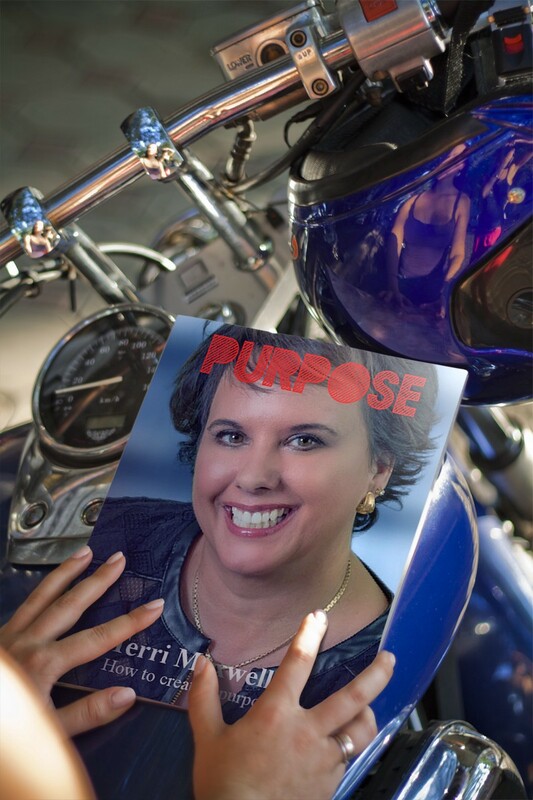 I had the pleasure of interviewing Terri Maxwell, founder and CEO of Share On Purpose, Inc., a business cultivator of purposeful brands. 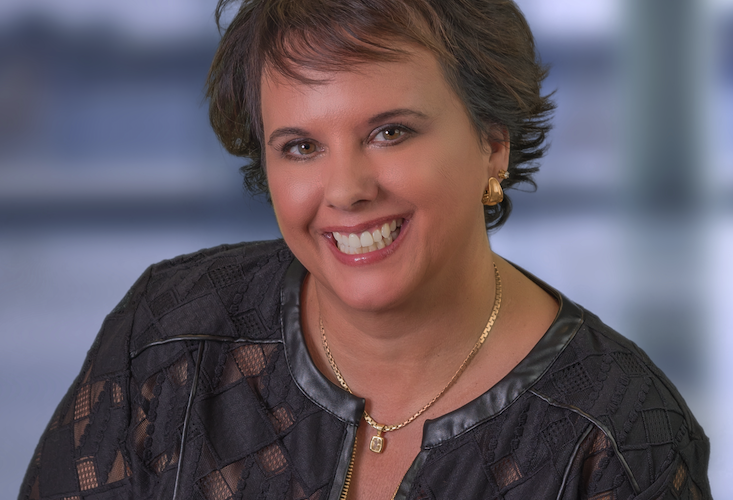 Terri’s purpose is to “inspire potential” and, in addition to a career as a well-known author and speaker, she has launched, owned, sold, or rebranded over 40 companies. 1. Can you tell us about your journey to becoming CEO? I started as a middle-school English teacher. I loved teaching but wanted more freedom to create something better. After I left the classroom, I took a role as an educational software consultant, focusing on training teachers, which was a natural transition. I soon found out I had a natural gift for business and was fast-tracked through the company’s management ranks. Five years later, feeling young, successful and cocky, I quit to join a start-up. I failed miserably, but was bit by the start-up bug and never looked back. A few years later, I joined an internet company as president of one of its subsidiaries and helped them triple the growth of company, which eventually led to a NASDAQ initial public offering (IPO).We were later acquired by Prodigy, which in turn was acquired by what is now AT&T. I left shortly after that acquisition, knowing that I was not well-suited for a big company environment. I started a marketing strategy firm in 2002 and soon had grown to over 40 consultants. In spring of 2008, while looking to acquire another firm, my research showed me that we were on the verge of a major recession. I made the decision to shut the company down and sold most of its assets. The funny thing is, I didn’t shut down the company because of the threat of recession; I shut it down because I didn’t enjoy the work. That led to me formulating and launching what is now Share On Purpose, Inc. Living a purposeful life, with a career that is both meaningful and abundant. I used to believe that we could only have one or the other, either meaningful purpose or money. Now, I know it is an “and” equation; you can have both. I strive to live each day doing purposeful work as a way of creating wealth for myself and our Share On Purpose team. 3. Can you share the funniest or most interesting story that happened to you since you began leading your company? The most interesting story is that the first iteration of Share On Purpose was as a purposeful business incubator; think of the television program “Shark Tank,” but with a big heart. We basically trained purposeful entrepreneurs and then hand-selected them for investment and partnership. We had people waiting outside of our office every week for us to review their idea. You’d think a win-win model like that would work, but it didn’t. It failed miserably, and I lost over $1 million dollars. But, rather than quitting, I pivoted in 2014 to the strategy we have today: now I get to start businesses with purposeful ideas, and then we train employees to run the concepts for us. 4. What failures have you had along the way? How have they led you to success? As a serial entrepreneur, I have failed more than I’ve succeeded, truthfully. In the first few years, when we’re prototyping a concept, it can be a series of constant failures as we learn more about the target market and how to solve their problems. However, as a result of launching and building multiple brands, I no longer see failure as anything other than a course correction. 5. What do you think makes your company stand out? Can you share a story? We believe in a life and career driven by each individual’s special purpose. We provide free training and coaching to help employees find their purpose. Once they find their purpose, we help them transition into a role inside one of our brands. We look to match them with a brand that aligns with their purpose as well as their passion. 6. Are you working on any new or exciting projects now? I have more new ideas than hours in the day. Right now, I am fine- tuning the methodology for something we call Authentic Demand Generation™ . This is a solution for companies that helps them grow revenues. It does this by building relationships with a company’s target market, adding value rather than advertising to them. The Authentic Demand Generation model will also be the basis of my next book. 7. Is your company working to be more sustainable? If so, how? Hopefully we leave a very small carbon footprint. I think we can all do better, but since we intentionally selected a virtual work model, it cuts down on a lot of commute hours. Also, our office is largely paperless as far as file keeping. Thank goodness the days of paper memos are gone. Does anybody remember the inbox full of inter-office memos? I am also eager to invest through our Share On Purpose Speculator Fund in a company called Earth Hero — they are a marketplace for sustainable products. 8. What advice would you give to other CEOs or founders to help their employees to thrive? Strive to be what we call an Authentic Leader, which means to focus on each employee as a relationship. That means freely providing mentorship, aligning your employees’ goals with company goals, and striving to create a win-win partnership where everyone (company included) will thrive. 9. None of us are able to achieve success without some help along the way. Is there a particular person who you are grateful towards who helped get you to where you are? Can you share a story about that? I had a really difficult childhood, yet I was fortunate to have many “angels” in my life that have guided my life and career. As a young teen, my grandfather was my first mentor. The love, guidance, and timeless wisdom he bestowed on me changed the course of my life. He taught me two lessons that I am frequently asked to recount. The first is, “you get what you focus on,” which is about always looking for the good in difficulty. And the second was, “value wins; just give more than you receive.” Both of those lessons framed my life and business philosophy. As an adult, I had two impactful mentors early in my career: Burl Hogins and Alison Indrisano Wagner. They believed in me, gave me a chance, and guided me as a very young executive. 10. How have you used your success to bring goodness to the world? Well, bringing goodness to the world is my goal! I started this business to make a difference. My purpose is to inspire potential. Simply put, I can’t not do it. Whether it is the employees in our portfolio or the businesses we serve, I see the potential and work to inspire the person or business to be all that he, she, or it can be. Each business we create is designed to do something impactful, and not just create a better way, but also a more purposeful way to do business. “Your business evolves, as you evolve into a more impactful leader.” When I am coaching with founders who are stuck in the “no-grow zone,” we always seem to find our way to the part of them that is stuck as a leader. One of my gifts is helping entrepreneurs get “unstuck” and to dive into the part of themselves that is not authentic, or not evolving. “Business is simple; it’s about supply and demand.” Although building a business is one of the most difficult things you can do, it’s really quite simple. First, focus on creating demand, authentically, through building a product that serves your target market. This will create demand and keep advertising costs down. Second, differentiate that business, by finding ways to communicate effectively with the target market. When you solve the demand equation first, it forces you to then solve the supply side. This focus creates a see-saw effect as your business grows, and you alternate your focus between supply and demand. Too often, entrepreneurs try to get the supply side right, building the perfect product or service, without understanding demand. “Assume positive intent.” Most people don’t set out to make mistakes or hurt you. I wasted a lot of time early in my career worrying about people stealing my ideas and trying to control every aspect of the business, which caused me to be distrusting. When we assume positive intent, we trust that every person is doing the best they can in each moment, and we are less likely to react emotionally to their issues, barriers and mistakes. “Trust the process.” Had I not failed miserably when I first started what is now a really cool portfolio of companies, I would not be the person I am today, and I would not have the incredible life that I have. “Patience makes everything easier.” Most of my biggest mistakes came from me not trusting the process, from not being in the flow, and from seriously being impatient to a fault. Slow down, let things unfold, look for the answer rather than trying to force your way. 12. You are a person of great influence. If you could inspire a movement that would bring the most amount of good to the most amount of people, what would that be? You never know what your idea can trigger. PEACE. If I could inspire anything, it would be a peace movement to create a world of love, inclusion, non-judgement, and acceptance. 13. Can you please give us your favorite “Life Lesson Quote”? Can you share how that was relevant to you in your life? I share most of my lessons through quotes that I share on social channels. The one that is my favorite is: “When we face our fears, we grow our faith.” This is special to me because starting a business is a “fear grinder.” What I’ve learned is how to look at fear differently and to not let it stop me from doing what I know I have been called to do. 14. Some of the biggest names in Business, VC funding, Sports, and Entertainment read this column. Is there a person in the world, or in the US with whom you would love to have a private breakfast or lunch with, and why? Oprah Winfrey. She is my all-time favorite example of grace, persistence, perseverance, success, and humanitarianism. I look forward to working with her to bring one of our concepts to television: Succeed On Purpose.